Tropical Passion Fruit, or passionfruit, as some prefer to spell it, is a sweet-tart tropical fruit that comes from a passionflower. It bursts with flavor in this passion fruit cake recipe! Disclosure: Oh Nuts sent me dried passion fruit, free of charge, to create this recipe. Did I just say fruit cake? Yes, you heard me correctly. But wait! Don’t leave! I promise this fruit cake will change your mind. It’s got walnuts and passion fruit, with a touch of dates and coconut flakes. That doesn’t sound too much like fruit cake, no does it? It’s more like a sweet loaf cake with tons of goodies.This is the perfect gift idea if you’re still scrambling to find ideas, just bake a few of these up, wrap them up nicely and deliver them. Everyone will be grateful for some sunny passion fruit cake! And as you know, I do love passion fruit. The tropical passion fruit in this cake are from a company called Oh Nuts!, who carry a huge variety of nuts, dried fruit, baking supplies, and more. Check them out, bake this cake, and win your friends over. Oh and feel free to substitute for whatever dried fruit, extracts, and spices you have available. 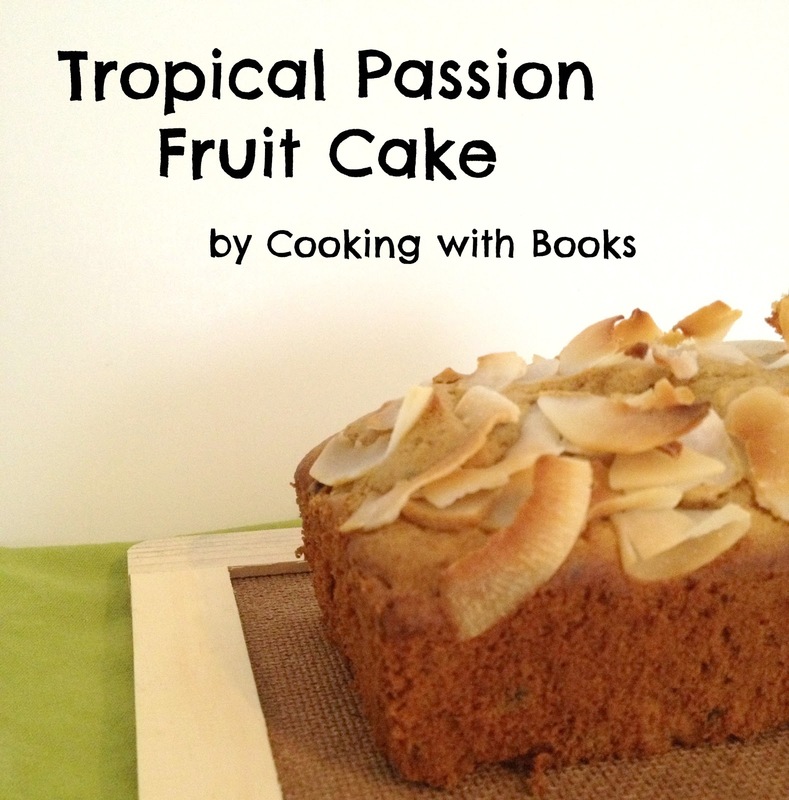 Make this tropical passion fruit cake your own, because that’s what holiday baking is all about! A tropical twist on the classic fruit cake. The night before making the cakes, chop the passion fruit (remove some of the seeds, but not all), dates, and walnuts. Place in a mason jar with the vanilla and coconut extracts and fill with water. Let stand overnight. Heat oven to 350F and grease four mini-loaf pans. Set aside. Cream the butter, sugars, honey creme, and molasses for about 5 minutes. Add eggs one at a time until incorporated. Sift baking powder, salt, flour, and spices. Add to batter. 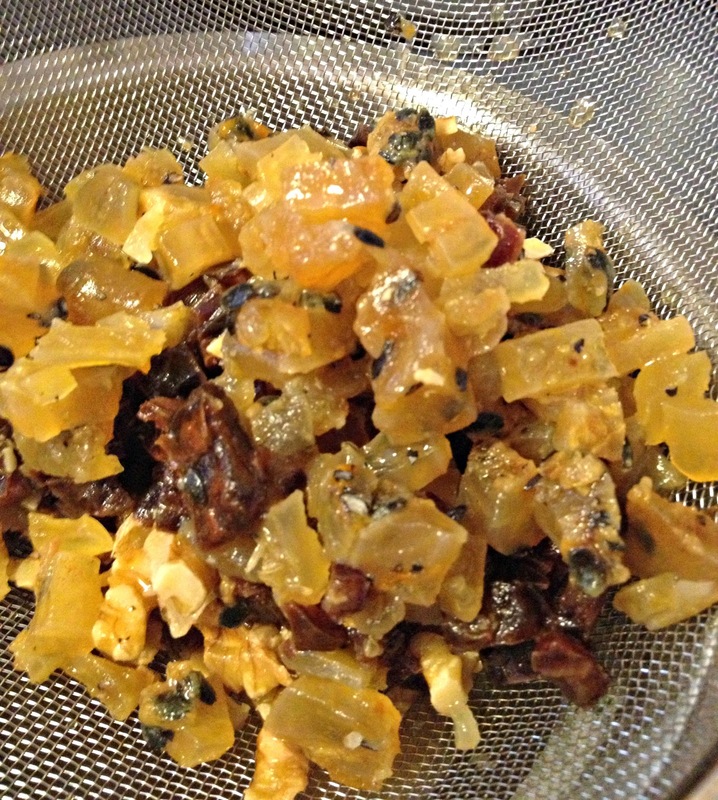 Strain dried fruit (reserving the liquid) and add to mixture above. Drizzle in about 3 tablespoons of the liquid reserved. Mix. Scoop fruit cake batter into mini-loaf pans, top with coconut flakes, and bake at 350 for 25-35 minutes, depending on your oven.